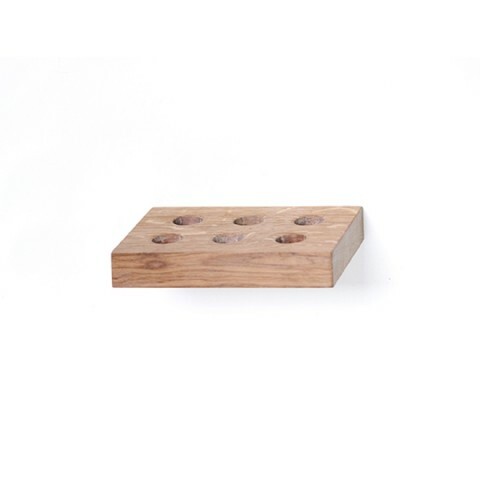 Wooden holder _mini has magnets built into the back side, which fasten the element onto the steel plate. Therefore, you can change its position from one place on the back plate to the other, without using any kind of tools. Wooden holder _mini was designed for bathrooms, it works best when combined with steel Shelf_C or Shelf_U. However, it works also works in kitchen as a spice rack for test tubes.